I don't quite recall why anymore, but we visited a sim called Heckelphone yesterday. I think it was just because of the funny name; it reminded me of a Simpsons episode ("Ach! Das Wagenphone ist ein... Nuisancephone! "), and I briefly wondered if it might be related to the mathematician Erich Hecke, but it turns out it's named after a musical instrument, basically a bass oboe. Sims are often named in thematic clusters, the entire region that this was part of had a ton all named after musical instruments; amusingly, one was also called "Canard", which led us to speculate how one might play a duck. Alas, there was no sim called "Cat Piano" — maybe someone should suggest that. But I'm disgressing. Heckelphone (the name still makes me grin) turned out to be part of the area holding the Linden homes that Linden Labs started to include with premium accounts a while ago; the area it was in was huge, and felt very weird. I immediately got a "gated community" vibe from it when we arrived: very polished, but also strangely soulless, with the lawns manicured a little too perfectly, the houses a little too similar, the trees planted a little too strategically and so on. moth_wingthane got the same feeling, too, describing it as a strange sort of place and quipping that "I know SL is artificial but this is so artificial is almost hurts". I'm inclined to agree; it was. But to each their own, right? And it was an interest experience, if rather surreal (or hyperreal, maybe). Mm, that's been the uniform impression, it seems. And of course, being SL, there's no real privacy available - if you've got active neighbors, particularly of a newbie nature, they'll perfectly easily be able to peer in on whatever you might be up to. Then again, my understanding is they're fairly lightly populated anyway. It's rather a pity they went with that approach - it's not overly appealing, especially compared to something like the Serenity Woods treehouse apartments, where they manage to pack in quite a number of spaces in not a huge area of land, but it's so creatively done that it's an appealing notion to secure one, just to enjoy occasionally. Of course, I suppose that'd also appeal to me for being on such a pleasant sim, and in a furry neck of the woods. It's interesting reading your comment about privacy there as, while we were there, I got the sort of feeling one might get if you were in your neighbour's garden in the middle of the night and felt as though you were being watched. It was strange and I didn't like the place at all. I've never felt like that in SL before. Oh yeah, the lack of privacy is something htat'd bug me, too. Not that you have real privacy ANYWHERE in SL unless you rent your own private island and create a whitelist for access, but these felt about as private as a huge dorm where everyone's sleeping in the same room, bed by bed. 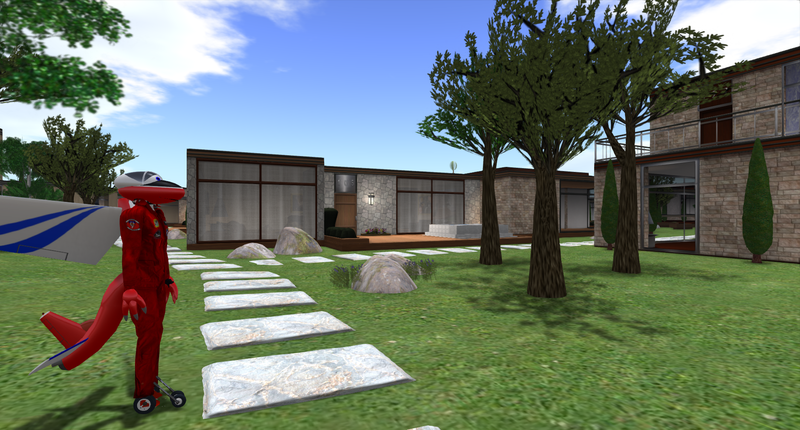 Having looked at the Linden home policies earlier, there's more in there that'd turn me off, too; even though most are sensible, there's restrictions you won't face elsewhere, and the requirement that your Linden home "will be kept presentable and in-theme" very much reinforced the "gated community" feeling I had — and the lack of privacy. Maybe it's not fair, but that bit gave me the mental image of new recruits in the military who might answer with a hearty "Sir, YES, SIR!" if so admonished, and whose quarters are open for inspection by their superior officers at any time. Perhaps not the sort of feeling you want to give paying customers. OTOH, RL gated communities with strict neighborhood codes etc. are popular with certain sorts, too; different strokes for different folks. And you do have to give LL credit for trying. Despite everything I've said, I still think that the basic idea is sound: it's just that there is still room for improvement.